Don't miss out! 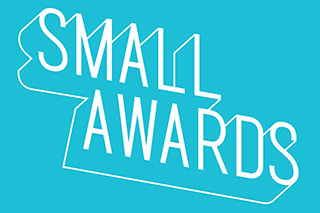 Buy your ticket for The Small Awards. The Small Awards will take place on May 9th, 2019 in central London and will be a glittering black tie dinner and event with small businesses, experts and luminaries coming together for a fantastic evening of awards, networking, food, drink and music. There are a limited number of tickets available for purchase to attend the event. Each ticket costs £50. Click Add Ticket for each ticket you require and please do let us know if there are any specific dietary requirements. When you're ready, click Purchase Ticket(s) to make payment via credit or debit card (transaction will appear on your statement as Peak B). If you have any specific requirements, (such as access) please email [email protected].